Hello friends, I’m back here again with my groovy Autumn companions, mug of tea, cozy socks and a crackling fire in the wood stove for sharing in the season some good stuff happening around our cottage. I hope in some small way you find bits of encouragement for simple and sensible approaches for home and garden. I’m such a seasonal creature, moving from task to task on our little homestead in concert with the changes in the air. The Circadian Rhythm, it’s got a hold on me, and I rush or lollygag circumspectly to days and seasons. Clouds and mist mingle among the firs and hills providing an ethereal backdrop to life and I have to keep reminding myself to look up and soak in the moments of this beautiful and rapidly changing season. I’ve lugged out my trusty soup pot ready to be filled with a nourishing modge-podge of ingredients, not without salt & pepper and graced with herbs and spices. Yum! Here’s some other good stuff that’s simmering on my mind these beautiful fall days. 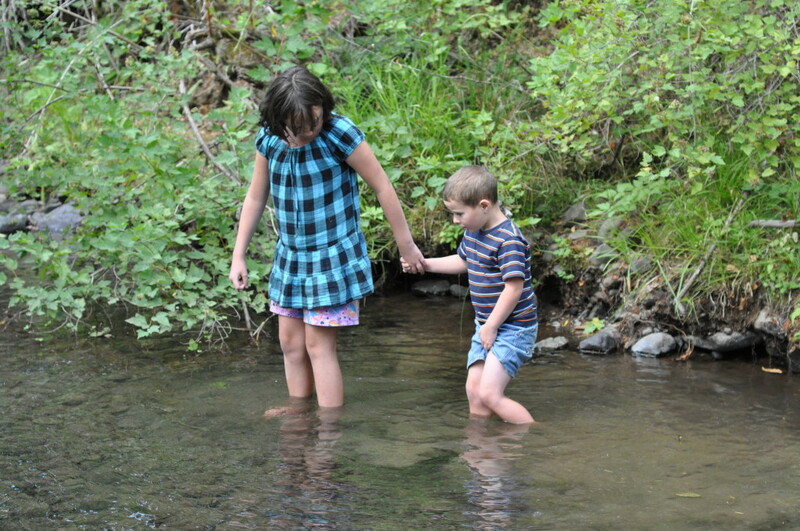 Home Stuff:: When your domicile is a 106 year old cottage in the woods, challenges are a given. I often covet modern conveniences that would make life a little more fluent, but it’s only a fleeting mood and once again I’m brainstorming on ways to enhance living simply within our smallish footprint. I was introduced to the joys of chalk paint by my lovely friend and Annie Sloan paint stockist, Darcy Haney, who with her husband Matt are the dynamic creative duo of MD Haney Company. 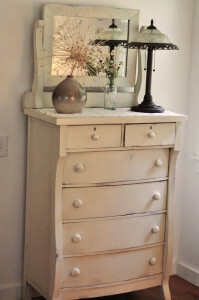 Chalk paint contains zero volatile oils, extremely easy to work with, versatile, and the perfect choice for sprucing up furniture, walls, and making other household items resonate with vintage charm. This book is chock full of brilliant ideas and projects to get you going on spiffing up your lovely home without introducing harmful chemicals. 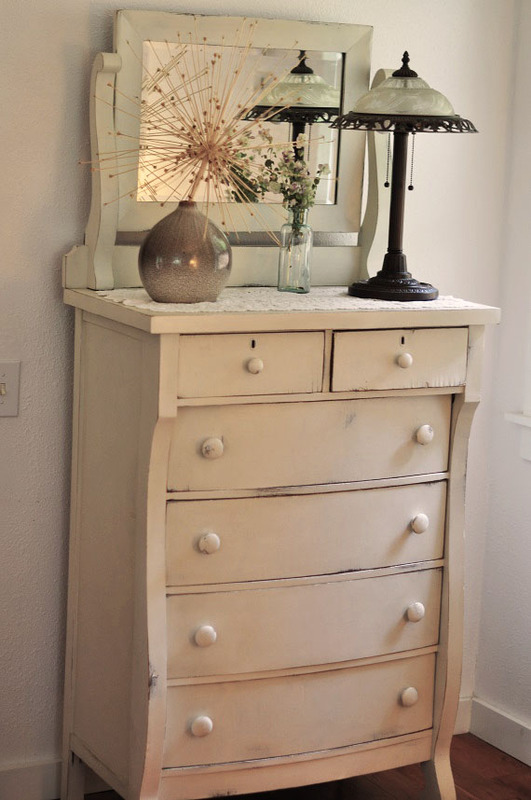 Check out what I did with the chippy old dresser below and be inspired here. Garden Stuff:: Moseying on to that place of connection, to the wonderful world of the soil food web, the garden. It gets my creative juices flowing like no other and I’m rewarded for even the smallest of effort. Our particular location among the woods and fresh mountain springs is the victuals of lore, but for every humble gardener regardless of geography, an abundant thriving garden is at your fingertips. How to create your own forest garden can be found in the pages of one of my favorite resources called Gaia’s Garden. In it you’ll find plans and extensive research for creating a healthy garden that will sustainably nourish generations to come. 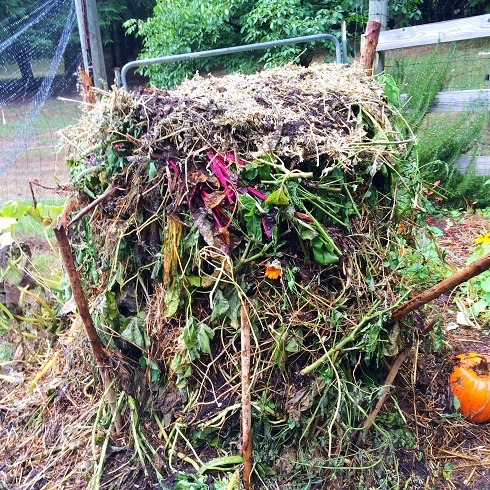 Which leads me of course, to composting, that glorious activity of making dirt happen and the topic I love to chat about most. 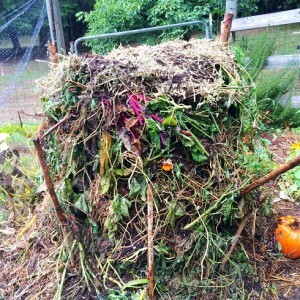 Seriously, compost is my jam! More yada here. 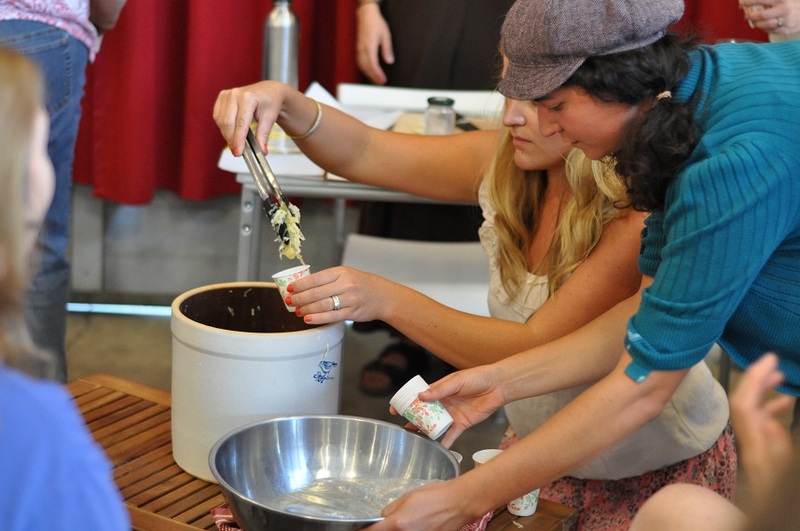 The science and art of fermentation is, in fact, the basis of human culture: without culturing, there is no culture. This entry was posted in Uncategorized and tagged Annie Sloan, chalk paint, fall, fermentation, Gaia's Garden, MDHaneyCo., Nourishing Traditions, Sally Fallon, Wild Fermentation.